it’s a bummer to see people who believe that their lives, or their jobs, are not exceptional enough to be impactful; that they’re not BIG enough to make a difference. FISH! is a story of the philosophy of real-life fishmongers in seattle’s pike place fish market. it’s a touching tale about personal choice, energy, service, and culture; and our ability to make an impact. the beauty of its story, really, is that you can be extraordinary – at ANYTHING. you don’t have to be president or prime minister, or rich or famous to make a positive difference in the world. you can be the BEST garage attendant in town. the BEST therapist. the BEST sister-in-law. the BEST broker, or salesman, or cube-mate, or customer, or teacher, or garbage man, or HR specialist, or nurse, or movie-ticket collector! whatever it is you spend your time on (regardless of whether or not you get paid for it), you touch people daily. you may not touch millions of people at one time, but your everyday actions and expressions have the potential to – literally – change lives. you never know what’s going on in someone’s life at any given time; and you could, by matter of chance, walk right into their lives at just the right moment to offer words of encouragement, advice, empathy, laughter, or guidance – just when they needed it most. so don’t believe for one second that you are ‘not influential’. you’re having an affect on people every single day, with every word, in every interaction. 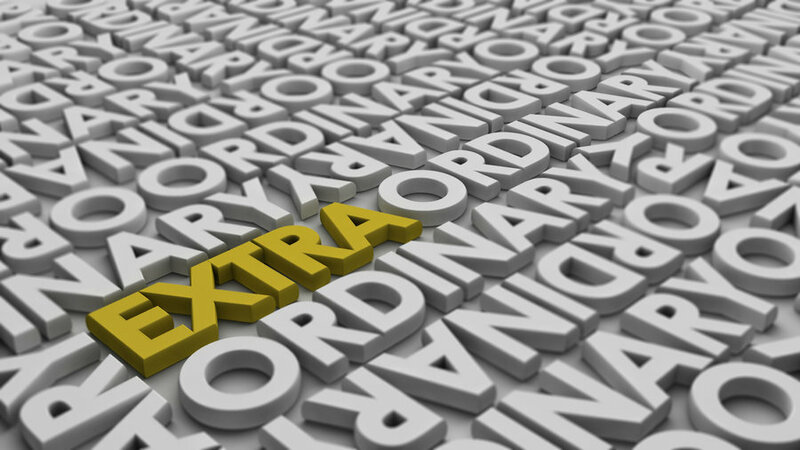 so whatever it is that you do, go out there are be extraordinary at it!